With so many different supplements available both on-line and in the shops today, it can be confusing trying to find the right bodybuilding supplements as well as using them in the most effective way. To truly optimize the dietary impact, an individual assessment with a sports nutritionist is recommended but there are some bodybuilding supplements, including a protein powder, which would benefit every bodybuilder, from novice through to seasoned pro. Protein is one of the frequently mentioned bodybuilding supplements and vital for building lean muscle mass. It is almost impossible to consume the amount of protein required naturally without the need for additional supplements. One of the least expensive supplements available and with proven effectiveness, protein powder is an essential in a bodybuilder’s toolkit. Two of the best available are Myofusion by Gaspari, this powder uses a combination of casein and whey proteins to ensure blood amino acid levels remain higher for longer, while Syntha-6 by BSN tastes great and can be used as a meal replacement also. Protein can be consumed as a drink when mixed with carbohydrate. This is the perfect combination to take onboard immediately after a training session as the amino acids in the drink provide the necessary building blocks and the carbohydrates increase insulin levels which pushes the nutrients out into the muscle, thereby allowing generation of new cells and ultimately muscle growth. Sipping a carbohydrate-loaded drink during a work-out is also highly recommended as it allows adaption to heavy loading during training. Serious athletes in all disciplines have to pay close attention to their diet and ensure that 5-7 moderate sized meals are consumed every day, with each meal carefully balanced. A protein powder drink can be used to replace some of the daily meals, allowing the nutritional stability to be maintained whilst on the move. In order to bulk up but strip away every last inch of fatty mass, thermogenic bodybuilding supplements are one of the biggest innovations to hit the market in the last 10 years. Quite literally a fat-burning pill and often combining bitter orange, caffeine and aspirin, thermogenics are widely believed to shift that last bit of muscle-disguising fat that won’t budge with diet and training alone. However, in order to maximise the benefits of any thermogenic pill, a cycling routine must be established. Taking thermogenics consistently without a break between courses will, over time, dramatically reduce the effect and could cause metabolic difficulties; one of the best for example is Adipoxil by Iforce Nutrition which should be taken 3 to 4 times a day and needs to be cycled every 4 to 8 weeks. The only exception to this rule is if the thermogenics are not taken daily, but more sparingly on just a couple of days per week. If used in this way, there are no risks to using them all year round. Of course, supplements are not the only way to ensure that the body is in tip-top condition. There are many foods which have been labelled ‘superfoods’ and warrant inclusion in any diet. Tomatoes are well known for their powerful anti-oxidant properties which appear to become enhanced further once heated. Flaxseeds are another group of foods which should regularly be consumed, with grinding of the seeds best for rapid absorption. Flaxseeds can also be added to a protein powder to increase the nutritional benefits of the drink further. Alternative ways to incorporate them into the diet include soups, salads and cereals. Green foods including spirulina, wheat grass and chlorella are another great nutritional source, containing higher amounts of protein than red meat when compared pound for pound as well as being very high in vitamins and minerals. That’s right folks, Christmas is here! Any how, if you have been following the recent emails, you will know that I gave away a few bonuses over the past several weeks. If you missed out on what those were, then you can back track and view those emails here in the email archive. However, today will be the final bonus of the year, and I’ll be leaving it up until the 31st of December. But for you newer readers to the site, let me tell you the story behind the creation of both of those ebooks. Now, if you have read the about us page, you would know that I started Stay-Fit Bug in July of 2009. A time which I can now mark as my resurgence into the bodybuilding and fitness world after an unexpected 2 year hiatus. Several posts in and 2 months of posting, I started to notice a trend and some strong attention to certain topics. The first was the need to want to build a 6 pac. The 2nd was bodyweight exercises. Which actually inspired me to write two ebooks, both of which you will now be familiar with. The first I gave away for FREE and the 2nd I put a price on. Well, first of all, bodyweight exercises are the undisputed king of realizing your ‘true’ strength. And secondly, Stay-Fit Bug is all about teaching you how to take your gains to the next level. And the best way to do that is to train insane, switch things up and make your muscles scream at a pitch that they did not think possible. Therefore, the introduction to exercises that will help you do just that. Fast forward to version 3.0 (released September 2010) and the ebook has indeed been upgraded (At no cost to existing ebook owners). And fast forwarding to Q1 2011 will see an even bigger update in version 4.0. That will indeed be existing. Sheesh, I’m even getting excited about creating it (Let’s just say,lights, camera, action! Stepping out of my comfort zone – Something you should all be doing on a regular basis). Q1 2011 might seem like a long time away, but I must inform you that those who end up on the Unique Bodyweight exercise mailing list receive ‘different’ ‘FREE’ bonuses to those on the regular mailing list. So you won’t have to worry about being left dry for the next few months. Either way, that’s the story of how the Unique Bodyweight Exercise ebook came to existence. As of May 2010, I decided to get active with my personal Facebook account (Add me here if you haven’t done so already) and invite everyone to my profile. Shortly after, my profile became a page for everything Stay-Fit Bugg/Fitness/ Bodybuilding/Network related. ‘Shaun, which supplements should I take’??? Now, I’m not one to force bodybuilding supplements down someones throat just to earn a quick buck. That’s just not my style. So I decided to write the guide to necessary supplementation, which is just a No B.S guide to what you should be supplementing your body with. That is, natural foods AND bodybuilding supplements. That’s all there is too it. Nothing more, nothing less! Now, that’s the story telling out of the way. Remember, this bonus page will stay live and active until 31st of December, so you should at least be able to stay fit at home for the several days of festive Christmas activity. But I’d say grab it now, because you’ll probably forget by then, as you’ll be completely zoned out in Xmas and New years eve-ism. And remember, binge, but don’t OVERRRR binge. That… is something you will regret come January (At you Abdominal builders). Train insane, train safe and Merry Christmas. 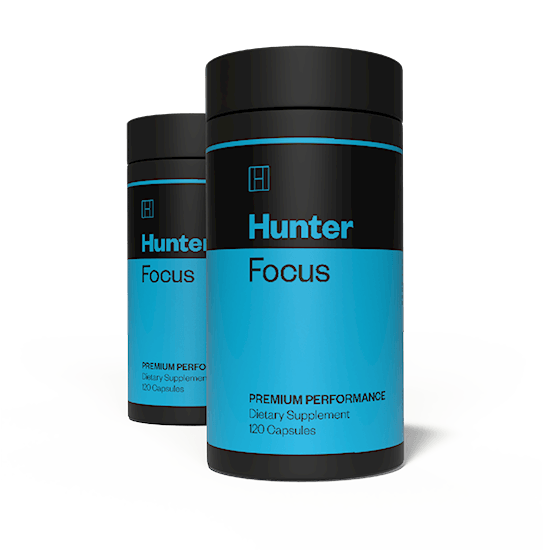 Through out this site have often stated my dislike for supplements and steroids as i believe you can achieve great results with what nature has to offer. But that same former body builder i told you about in this post (Forearms) is the one who introduced this to me. At first i was very hesitant to even try it, but i have always lived by the rule ‘try anything once’, so i gave it a shot. I already knew what creatine does to the body, but i can say that trying this for a short while was great. I didn’t suffer any side effects that everyone usually goes on about and i think as long as you currently eat healthy and train regularly you’ll be just fine. There is no one great life changing product out there, not even this does that, but you will notice an increase in strength and muscle mass when you use it. I guess this is good for all of those readers here that are like me and usually do not touch this stuff. If that is you, I’d try it once at least. And for any body building types reading this then you already know what to do. Have fun with it but be moderate,. It’s a new week folks. It’s getting colder, darker and Christmas is right around the corner. And… I’ve always got some presents on the way to give to you all. Will you get them early? Well, you’re just going to have to wait and see. Any how, today marks the release of the first ebook, of a series of ebooks. All of which focus on a specific aspect of the fitness lifestyle. Note: $9.99 for the next 72 hours ONLY! In this fast-paced modern world of pre-packaged consumables, it can sometimes be difficult to justify buying, preparing, and serving fresh food items. We all know they’re better for us (or are they? ), but fresh foods simply don’t offer the convenience of canned. Besides which, canned foods can be safely stored a lot longer than fresh, adding monetary benefits to their appeal. But when it comes down to nutritional value, it can be unclear to the casual shopper which is actually better for you. You want to believe that fresh produce and animal products (in short, “natural” items) provide more of the vitamins and nutrients needed to keep us healthy, but is that really true? Don’t canned goods still retain the many nutritional elements that are present when they go from being fresh to being freshness-sealed in vacuum-packed receptacles? Well, that is exactly what we’re going to examine in this nutritional smackdown where fresh foods are compared to their canned counterparts. Here’s the lowdown on freshness. So-called “fresh” foods may not be quite as brand-spanking-new as you think. If you know anything about how supermarkets work, then you are likely aware that they receive food shipments once or twice a week. The items that make it to their shelves may be several days old by the time they get there, thanks to transportation, inspection, and arrangement time. Many items also undergo interesting procedures to make or keep them suitable for sale. Most fruits and vegetables are picked prematurely and then “flash” ripened with heat and moisture to prepare them for sale. And some are treated with chemicals or waxes to keep them fresh and presentable on store shelves for longer (since they will quickly spoil otherwise). So these supposedly fresh items might not look as appealing all of a sudden. Throw in the fact that they contain traces of chemical pesticides and fertilizers (or hormones and antibiotics, in the case of animal products) and you might not want to touch them with a ten-foot pole. As for canned produce, there is an upside. Fruits and vegetables that are slated for canning often go straight from the field to a canning facility (sometimes on the farm premises), ensuring that they retain peak levels of freshness, including nutrients such as vitamins and minerals. The same is true of canned meats, which are often preserved shortly after slaughter. In fact, nutrient levels in canned foods have been found to be at the same (or even higher) levels when compared to fresh produce. Even the U.S. Food and Drug Administration (FDA) and International Food Information Council (IFIC) have made statements confirming that nutrient levels in canned foods are at least equivalent to their fresh alternatives. Vitamin and mineral levels remain high (along with protein levels for meats) and apparently, the canning process has even been shown to increase calcium levels in fish. Hooray for canning! Unfortunately, that’s where the good news ends. Not all of the health effects of canned foods are produced by the nutrient levels of their natural contents. Most canned foods have a number of detrimental additives to contend with. First and foremost, the majority of canned goods require preservatives. How do you think they retain a shelf-life of several years while their fresh relatives spoil within days? Of course, vacuum packing doesn’t hurt, but it generally won’t stop spoilage on its own, especially not until the expiration date listed on most canned products. So you can expect high levels of chemical preservatives with unintelligible names (found on the ingredient list beneath the nutrition label) or even natural ones like sodium (also detrimental, especially if you suffer from high blood pressure or weight-related diseases). Of course, canned items are also subject to additives for flavor. Sugars, in particular, are a common additive. Consider that when fruits and vegetables are picked, they may not be entirely ripe (leaving them tasting a bit off). When fresh items are shipped to stores, they have time to ripen fully so that they are ready to eat by the time they reach store shelves. Foods that are canned can’t wait for that. So flavor and color additives (often chemically based) are thrown in the mix, adding no nutritional value and often detracting from the benefits that may have been otherwise gained from canning. It’s also a little-known fact that our first and longest-lasting taste sensation is sweet, meaning that we are susceptible to sweetness (a fact that most food manufacturers have not failed to account for and will use to ensure you keep buying their products, despite the fact that processed sugars are terrible for your health). For all of these reasons, your best option is probably to select fresh produce and meat that is not only organic, but also locally grown. Of course, the only way to ensure that the items you’re getting are authentic is to visit a local co-op of organic farms in your area and buy directly. Often, such organizations will offer a delivery service so that you can pay a monthly fee to receive regular deliveries. You may also want to frequent your local farmers market whenever possible to purchase truly fresh produce and meats. However, in many areas these options are not feasible. If you must purchase from a market, try to find one that guarantees locally grown, or at least organic products. They may even be willing to volunteer information about the sources of their food so that you can verify their claims of organic and local goods. And of course, you could always try your hand at growing your own vegetable garden (although you will be limited to items that can reasonably grow in your region). Of course, if you can’t get your hands on fresh, organic produce and meats, or you simply can’t afford the cost, you shouldn’t entirely avoid these sections of the food pyramid. You can still get the nutrients you need from canned foods (even if you have to suffer through the additional additives and preservatives that seem to be par for the course). It is imperative that you make every effort to sustain a balanced diet that provides you with the many vitamins, minerals, and nutrients that will ensure a long and healthy life, even if that means resorting to canned versions of the foods you need. While fresh, local, and organic products are ideal, it is better to opt for canned items than opting out completely. Leon Harris is a writer for DustPruf which specializes in dry food packaging and bottling equipment. DustProf puts an end to product debris and buildup. As you got older, that would have naturally changed and drinks such as these would have poisoned your body. If you managed to avoid all of those things, you either had pushy parents that trained you vigorously from a young age, or you have just lived in a cage all of your life and are quite simply an uncharismatic bore! None of the above drinks are completely bad, as your body does need to be exposed to some ‘bad’ at times and there’s nothing wrong with breaking the rules. You decide that you want to build muscle and become fit and buff. Like magic, time starts to rewind itself and you start listening to mummy again and start guzzling your 8 glasses a day… again. Time passes and you find that drinking water is boring, yet you don’t want to compromise your weightlifting diet plan. Well, now you don’t have to, as I have listed 5 tasty alternatives that will give you the same benefits of water with some extras to add. And you will find that they will hydrate you the same way that water does. If you get bored, just change the flavours. Simple! When life gives you a lemon… squeeze it, mix it with six ounces of distilled water and drink twice daily. Well, you don’t have to drink it twice daily, but it is a great alternative to drinking water. Lemon Juice does have some extra magic up its sleeve too. Get’s rid of indigestion, heartburn, bloating and burping. Helps you S**t more efficiently. Sliced cucumber, lemon slices and fresh mint. Let it steep overnight. You can mix any variation of fresh fruits and vegetables for this and your drink will be packed with vitamins and nutrients that promote health. But this is a mix that I drink often. And as you might have guessed (knowing me)… it sure is a tasty alternative. I covered this back Killer foods for fitness and this is still a favorite today. It is both healthy and tasty and is even better than water for hydrating your body. Chocolate milk also provides your body with the perfect balance of carbs, protein, and fat for speedy muscle recovery. But most importantly, it is a great alternative for a drink when you find yourself getting bored of drinking water. The broth in soup is mostly made up of water, and since water is ‘very hydrating’ why should you not guzzle down a bowl of soup? Although soup is a great alternative, you must make sure you drink low-sodium soup, so check the labels before hand. Although these all taste great and are cool alternatives to drinking water, the main benefit for doing this is to keep your diet plan fun and exciting. Keeping it fun and exciting is what will prevent you from cheating too much during your weightlifting workouts. What water alternatives do you drink? ‘ What ingredients should I mix in my protein shakes’? I too have asked this question to others over the years. The main concern that I had was that I didn’t want to mix and blend ingredients that could jeopardize the effectiveness of the protein supplement. After all I am into building muscle fast… I do not want to be slowing down the process. Other than that, I did always want to make sure that the protein shake at least tasted good, as I do not believe you should be taking a disgusting tasting protein shake for the long term. That actually goes back to what I mentioned in yesterdays post. You will want to take something that you naturally enjoy in your everyday life, not just when you are in your barbarian weightlifting workout mode. From what I have seen so far, those are some of the same concerns that you may have in regards to what you should include in your protein shake. But today I will share with you 10 great protein shake recipes that I have either stumbled upon, have been introduced to or have experimented with on my own behalf. For all of these recipes I used Optimum Nutrition protein powder, as that is what I usually use on a regular basis. You can try others, but Gold Standard Whey is the one I know they work well with. This one is a personal favorite. I am a fan of bananas and probably eat too many for my own good. I am also a fan of Quaker Oats porridge (and mixed with bread) which I mentioned killer foods for fitness. So it was inevitable that I would stumble upon this mix. Yesterday I spoke about buying yogurt and freezing it. This is when I got experimenting and came up with this mix. Now, when I shared this with a few gym buddies they gave me the seal of approval for creative excellence. So I must have done something right… remember when I talked about the importance of having a great tasting protein shake? Well this is complimentary to that statement. In fact I would recommend to have some gym buddies get together and then serve a few of these up with umbrellas on top. This one is for all of you coffee and chocolate milk lovers reading this. I am a fan of food in general so I will naturally say that this tastes good. However, I am not a fan of coffee, so it is not a favorite of mine… but it might be for you. 1 spoonful of instant coffee! This is a ‘now’ favorite which I discovered by accident while playing around with the Vanilla flavored protein. This mimics peanut brittle only in taste. It won’t send your blood sugar soaring and it’s a fun way to get in some healthy unsaturated fat. 8 oz cold water or low-fat milk. Just stick them all into a blender. I like to add the peanut butter in last so that it stays thick and chunky, just like the peanut brittle it is replacing. This is a protein smoothie that I have had for breakfast in the past. This one was introduced to me and now with the power of referrals; I am now introducing it to you. This shake gives you a good start to the day and is high in protein, has good fats and carbs. This tropical fruit is known to speed up muscle recovery and help breakdown and digest protein. But other than that… it’s lovely pineapple. Get tropical with this one. I won’t say much about this one. Just try it! You can add more or less caramel topping, depending on how sweet you want your shake. Take this one to the beach. Last but not least… the almonds. When go shopping and want munchies, almond rounds are always on the list, and again, I probably eat too many of those too. My obsession with them led me to experimenting with this protein shake mix. I’ve tried and tasted many protein shake recipes, but these are a handful (well… 2 handfuls) of recipes that I tasted but simply did not forget. Give these a try and I’m sure you will find a favorite. Just in case you are new to all of this, here is a shaker for you. Bodybuilding.com Shaker Bottle, 25 Oz. What protein recipes have you tried?